Swedish / Relaxation/Stress Release Massage: If relaxation and increased energy is what you need, this full-body massage uses a variety of techniques specifically designed to relax muscles, stimulate circulation and manipulate the soft tissues of the body. The main purpose is to increase the oxygen flow in the blood and release toxins from the muscles. It affects the nerves, muscles, glands, and circulation, while promoting health and well being. Integrated Bodywork: Our bodies are unique and require different approaches to reach functional balance. Sometimes, due to an injury or sensitivity, one part of our body will require a different treatment than another. These cases will require combining different massage techniques to get to the core of the discomforts. This would mean integrating two, three, or all techniques from other modalities. Integrated Bodywork is a unique recipe of varying ingredients of massage techniques that is fitted for and focused on the individual client’s body as a whole. Deep Tissue Massage focuses on realigning deeper layers of muscles and connective tissue. It is especially helpful for chronically tense and contracted areas such as stiff necks, low back tightness, and sore shoulders. When there is chronic muscle tension or injury, there is usually adhesion (bands of painful, rigid tissue) in muscles, tendons, and ligaments. An adhesion can block circulation and cause pain, limited movement, and inflammation. 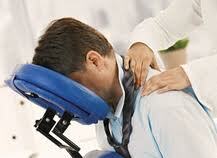 Deep tissue massage works by physically breaking down these adhesions to relieve pain and restore normal movement. Trigger points are hyper- irritable nodules (knots) within the muscle fibers that cause chronic pain in the same area and/or somewhere else in the body. These "knots" can also cause muscle weakness, limited flexibility, and muscle spasms. It is a bodywork technique that involves applying pressure to tender muscle tissue in order to relieve pain and dysfunction in other parts of the body. The purpose is to eliminate pain and to re-educate the muscles into pain-free habits. After several treatments, the swelling and stiffness of neuromuscular pain is reduced, range of motion is increased, tension is relieved, and circulation, flexibility and coordination are improved. One technique that is extremely useful in the treatment and rehabilitation of soft tissue injuries is facilitated stretching. It uses active motion and isometric work to safely and effectively help restore suppleness and flexibility to injured muscles. Massage alone can be effective in reducing pain and restoring flexibility to fibrotic tissue, but the addition of facilitated stretching can foster a dramatic reduction in the overall healing time and the restoration of pain-free motion. Silicone Cupping Massage is an easy and relaxing way to treat your skin to a deep clean­sing and stimulating revitalization. This negative pressure massage temporarily stimulates blood flow in the area used, providing pain relief from tight or sore muscles. It provides a relaxing and soothing experience, giving you an overall sense of well-being. This technique can be easily integrated into your massage session. Chair Massage: If you have ever sat behind a desk all day, then you are familiar with the symptoms of workplace fatigue - tension headaches, stiff neck, painful wrists, tight shoulders, and back pains. These symptoms cause mental fogginess, decreased energy, susceptibility to injuries and illness - leading to absenteeism and loss of production. On-site chair massage has been shown to reduce the adverse effects of sitting for long periods of time, relieve physical problems associated with repetitive tasks, improve alertness and ability to focus, help relieve common problem conditions such as tension headache and sore muscles, improve the immune system, increase good feelings about workplace, increase loyalty to company, and leave employees feeling revitalized and ready to work. Our fee is $1 per minute for a minimum of 15-minutes per session. There are ample 2-hour street parking around our Main-Monroe building. Client will remain clothed during the session. You may pay per session or purchase a package of 5* and save 10%. Call us for more details & scheduling. We will travel to your place of business or event and provide stress relieving 15-20 minute chair massage to you and your hardworking staff. Our fee is $60 per hour for one chair or $120 per hour for two chairs (paid by the employer or sponsoring group) or $1 per minute paid by staff member (minimum 15-minute sessions) with an additional $20 paid by the employer for the allotted setup and travel time. You provide a small space and we will bring all the necessary equipment and supplies. Call us for more details and scheduling.